► New bond issue: In March Burford Capital Limited (LON:BUR) announced the issue of its second retail bond, with a 6.125% coupon and maturity in 2024. ► Bond analysis: In this review we include our original bond research in full, with detailed analysis under our four risk categories of Equity Risk, Income Risk, Balance Sheet Risk and Ranking Risk. ► Risk categories: By separating the risks investors can clearly distinguish the risks, see how and if they interact and make a more informed decision on the bond issue and the risks that they are taking in doing so. ► Actual issue: Since the original note was written the offer period has closed, raising £100m. 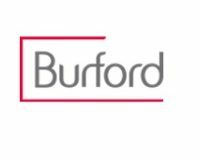 Burford Capital Limited has announced and issued its second retail bond issue. Since 2009 it has quickly, but carefully, grown its book of litigation funding investments. 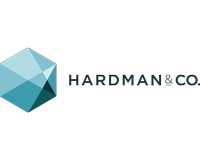 With its 2015 full year results it announced a $100m investment with a major law firm. This is a step up in its investments, taking invested capital from 54% of equity a year ago to 77% now. While very positive for the company, this reduces the cash available on its balance sheet. Though Burford has adequate cash to fulfill its existing commitments, it still has plenty of new opportunities too and raising money to address those makes issuing the bond a sensible step. Click BUR for the full archive.